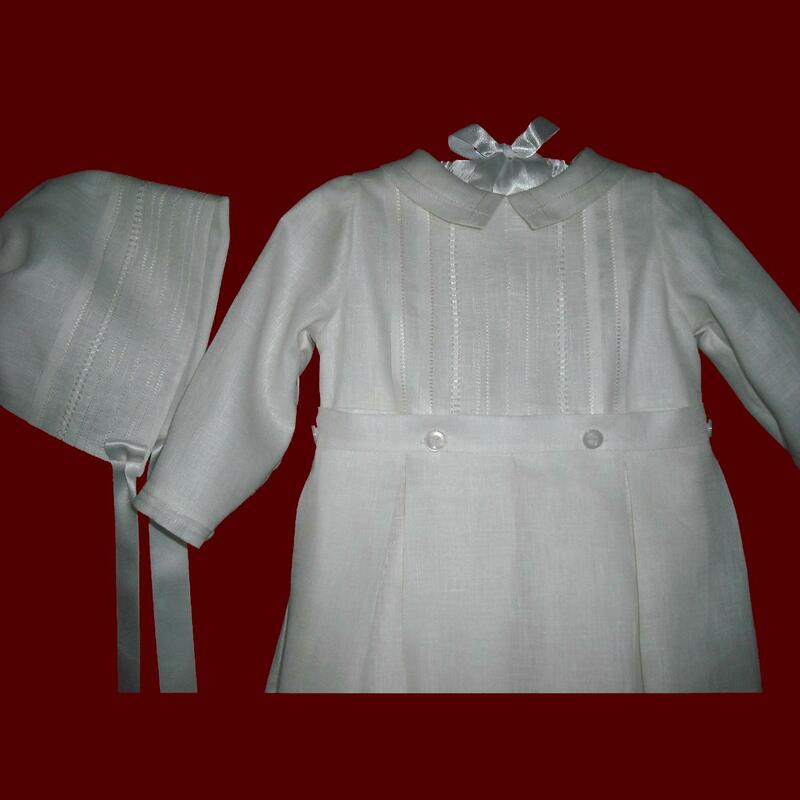 Heirloom boys pure Irish Linen christening romper with detachable gown has an embroidered cross with pintucks, hemstitching, featherstitching and pinstitching detail on the gown, front yoke, sleeves and collar. Back yoke has a double row of buttons to adjust the size. 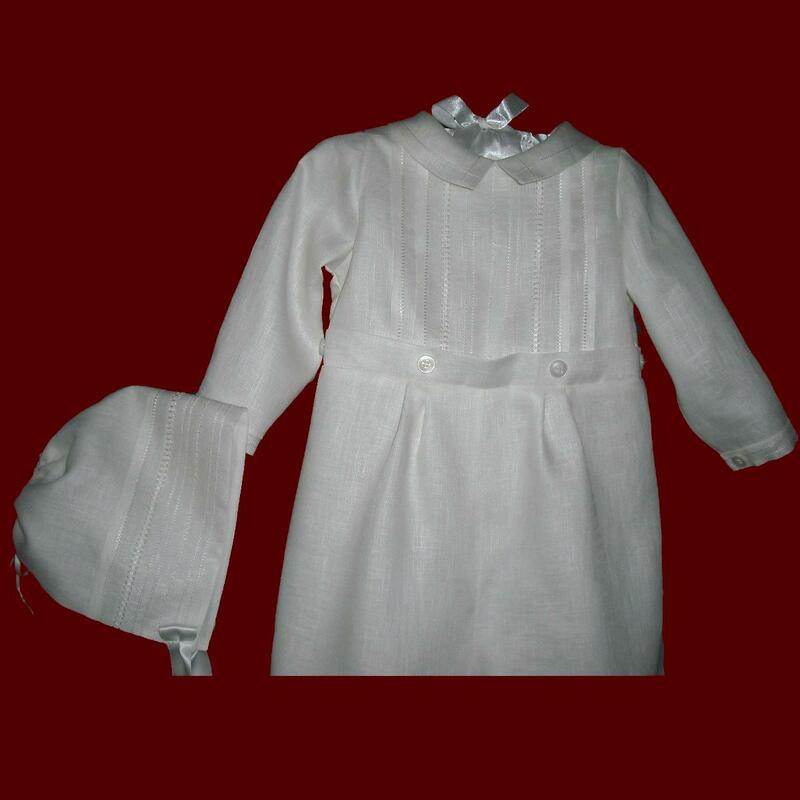 The button on detachable gown can be personalized on the inside back with baby's name and christening date, and is open down the back skirt portion of the gown to allow for easier changings and the ability to spread the gown out fully for beautiful portraits. Gown is pleated at the waist & is available in your choice of total finished length. Romper has snaps at the inner leg seam and is available in short or long (shown) sleeves and short, knicker or long (shown) leg length. 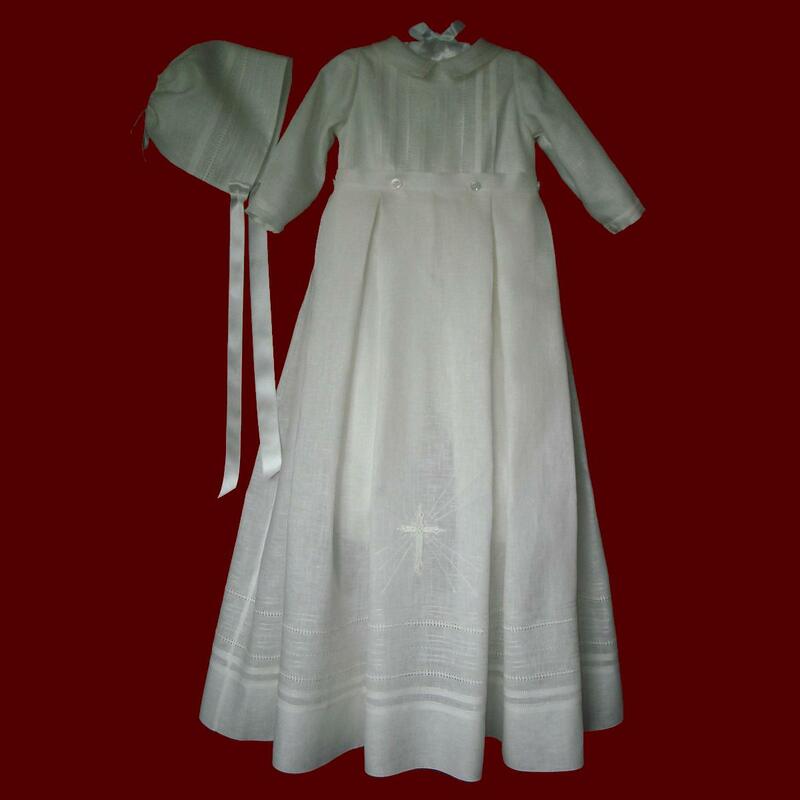 Includes matching cap style hat with adjustable back ribbon casing and optional brim. 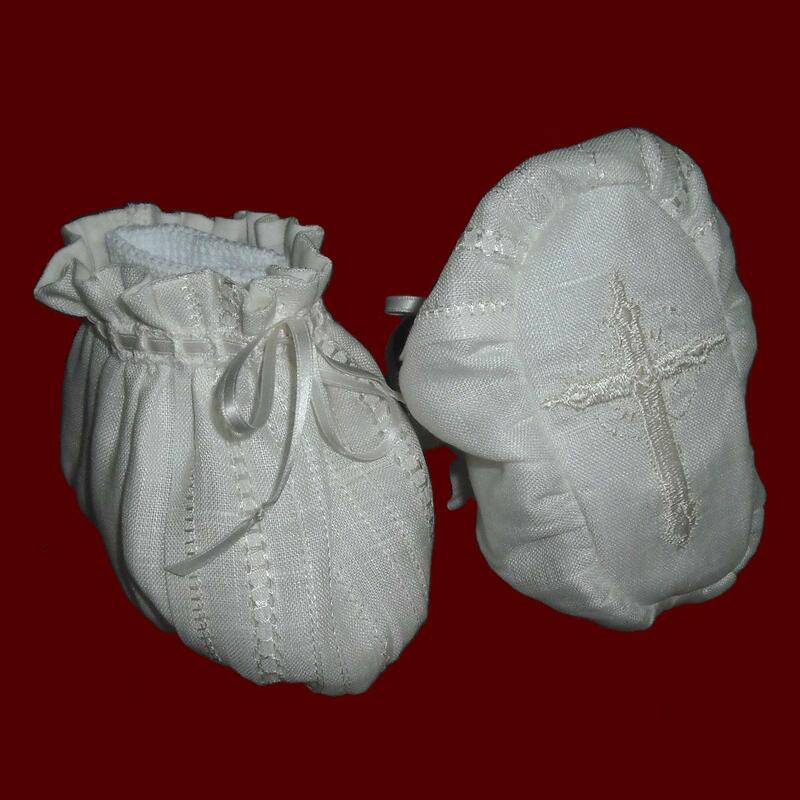 Available in white or ivory (shown) authentic Irish Linen from Belfast. 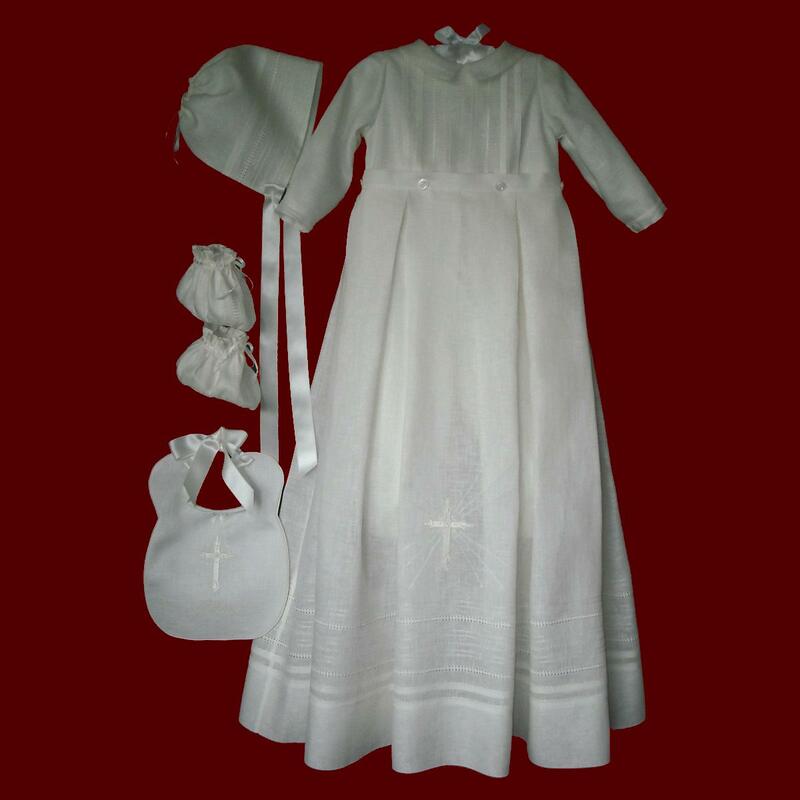 Embroidery can be all white, all ivory (shown) or with pale blue accents. 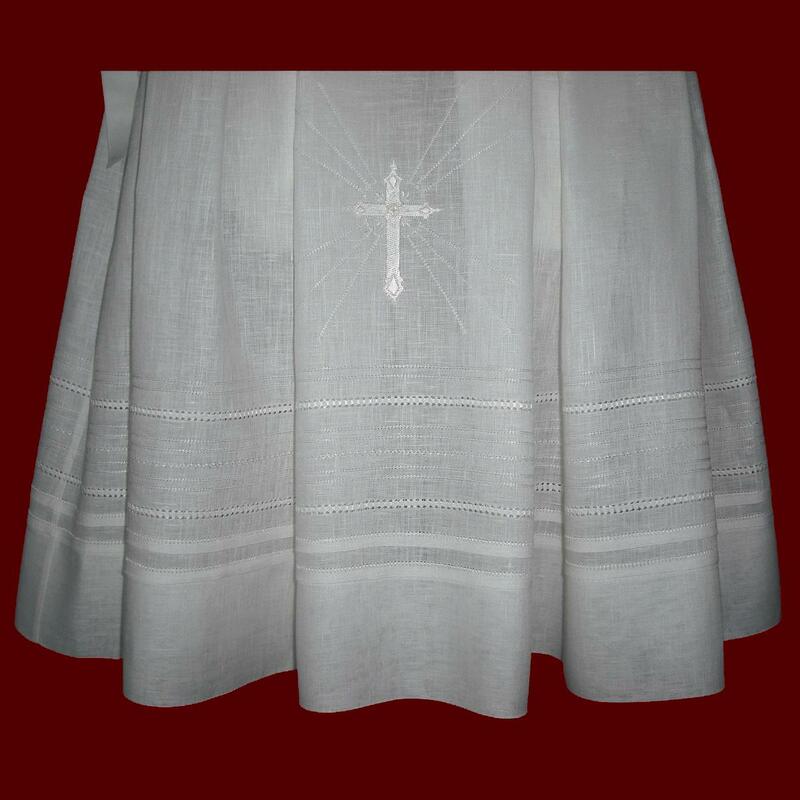 *New embroidered cross designs now available. Irish accents may be added to all items on this website. 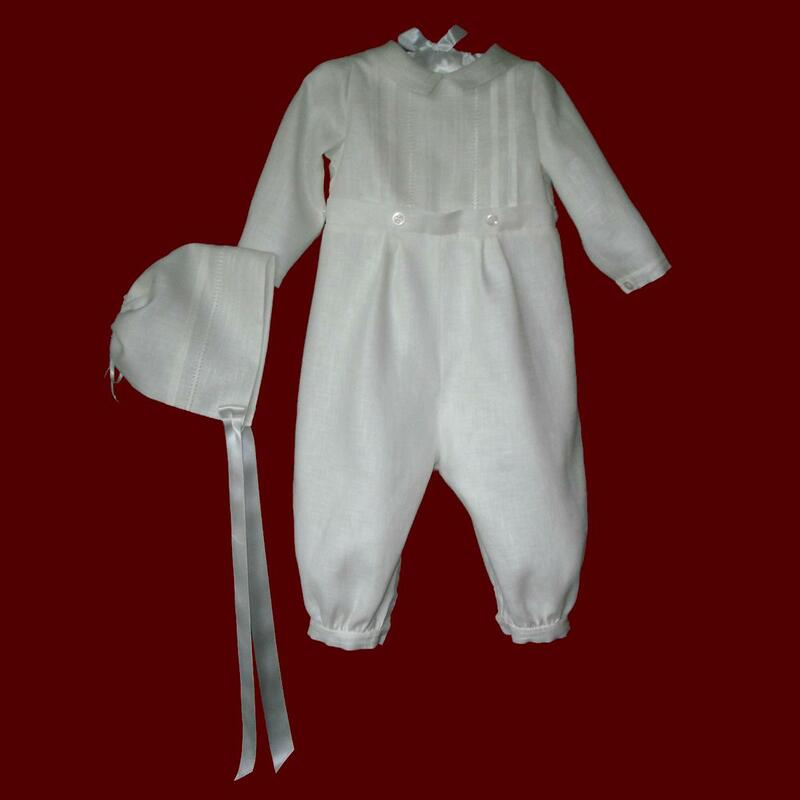 Includes matching bib & booties with embroidered cross and coordinating details.